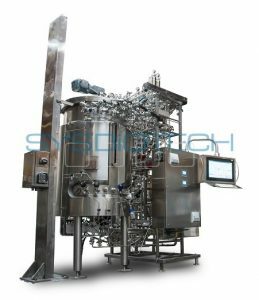 SYSBIOTECH fully automated bioreactor was designed especially for cell culture cultivation. 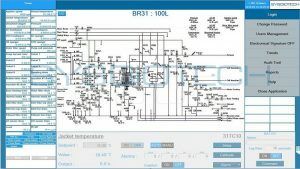 Design and manufacturing was made according to GMP requirements. 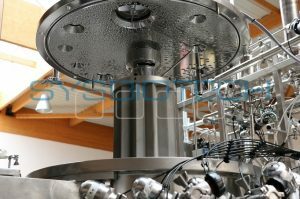 For gentle and efficient mixing our engineers applied pitch blade impellers with magnetic drive and spin-filter. 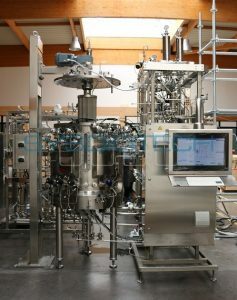 Bioreactor is equipped with gas-mixing system for sparging and overlay: Air, Oxygen, Nitrogen, CO2. 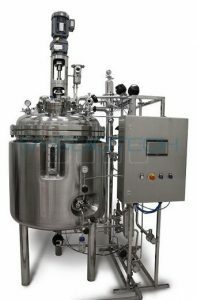 Sterilization procedure is carried out in fully automatic mode. 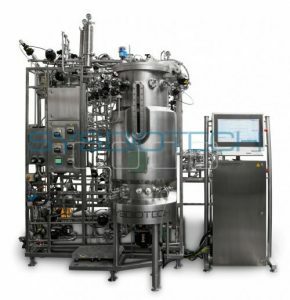 This bioreactor is equipped with additional SIPable feeding lines. 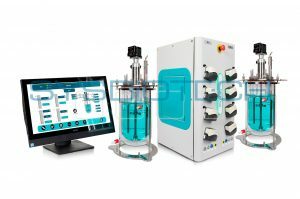 It is possible to provide on-line measurement of media composition using SYSBIOTECH SCADA system. 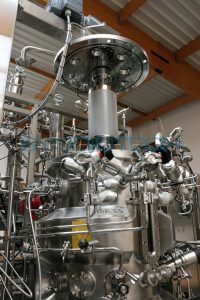 Bioreactor is mounted on stainless steel tubular legs with adjustable feet. 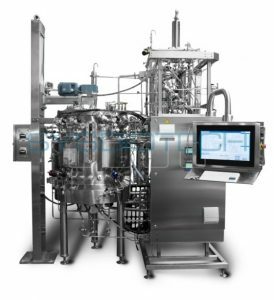 Manual bypass line controls the flow-rate of each gas automatically.